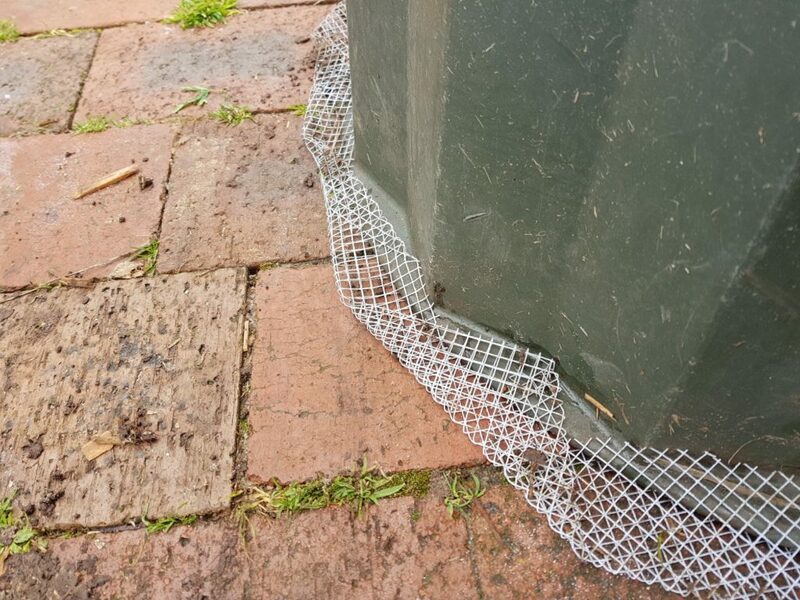 If you’ve got unwanted rodents living in your compost bin a simple and effective way of keeping them out is by adding vermin mesh onto the bottom of it. Vermin mesh (aka rodent mesh) is made from thick wire (around 2mm) and has small squares that baby rodents can’t squeeze through. 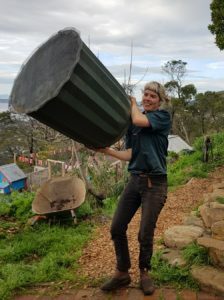 While it does start to rust after 5 years or so, it’s an effective way of composting food scraps without inviting all the rodents in your neighbourhood to move in at the same time. 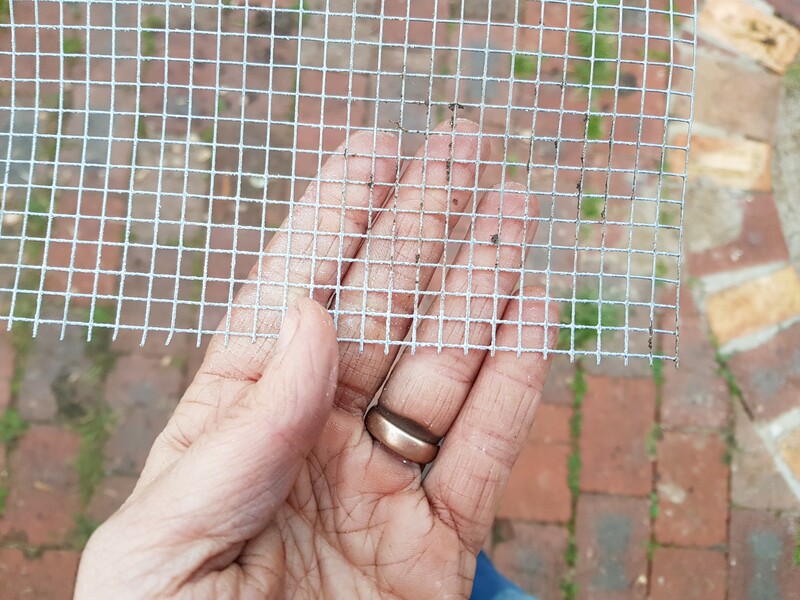 The first step is to pick up some vermin mesh from your local hardware shop – we got it in a roll of 5m as we know we’ll use it for bits and pieces around our property. Some shops will sell it by the metre – just call around until you find the best place. 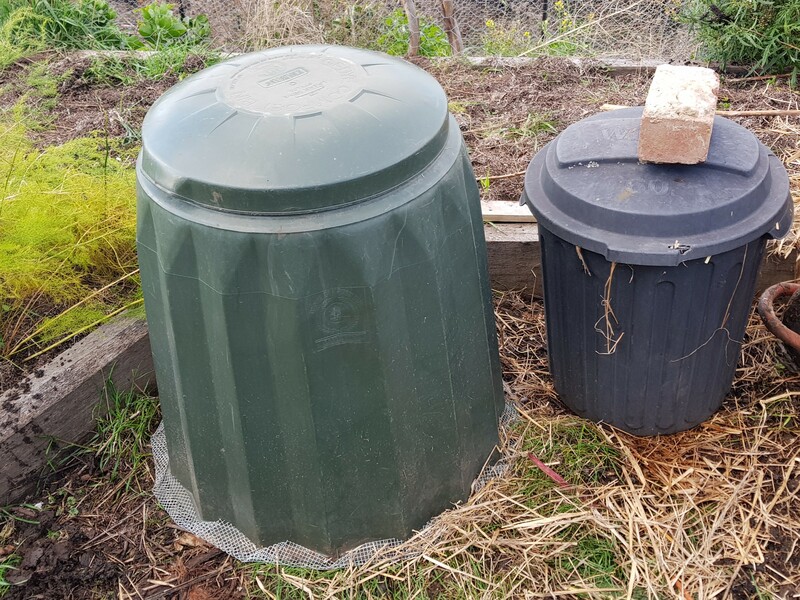 Roll it out, place your compost bin on top of it and cut off the right amount you need, keeping a few inches available around the whole bin. 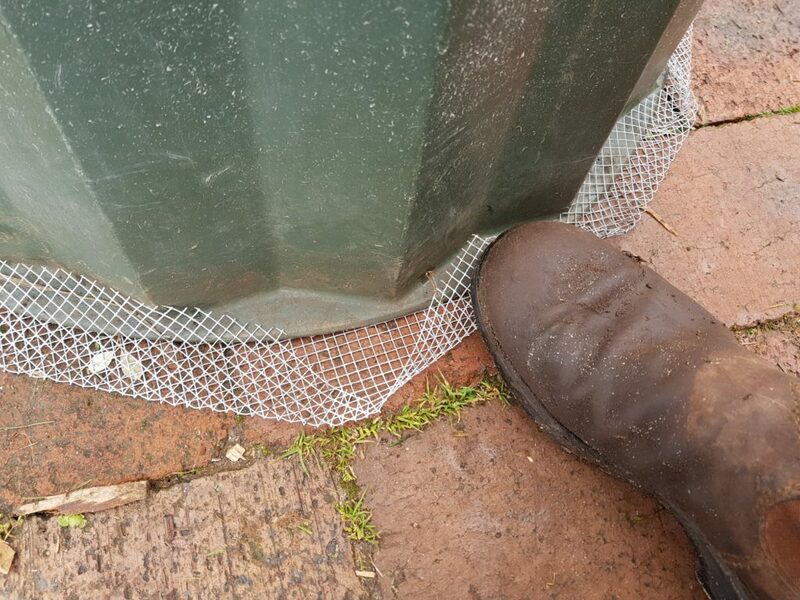 Next up, cut the vermin mesh into a rough circle shape and then simply start folding the mesh over the edges of the compost bin. I used my boots to help press it down firmly. It doesn’t have to be perfect – just strong enough that it grips onto the edge, which is really easy. You want to be able to take it off again (when your compost’s mature) so I made it reasonably loose. And that’s it! So quick and easy. The only tools you need are some good wire cutters. From here you can locate your compost bin somewhere convenient in your garden. 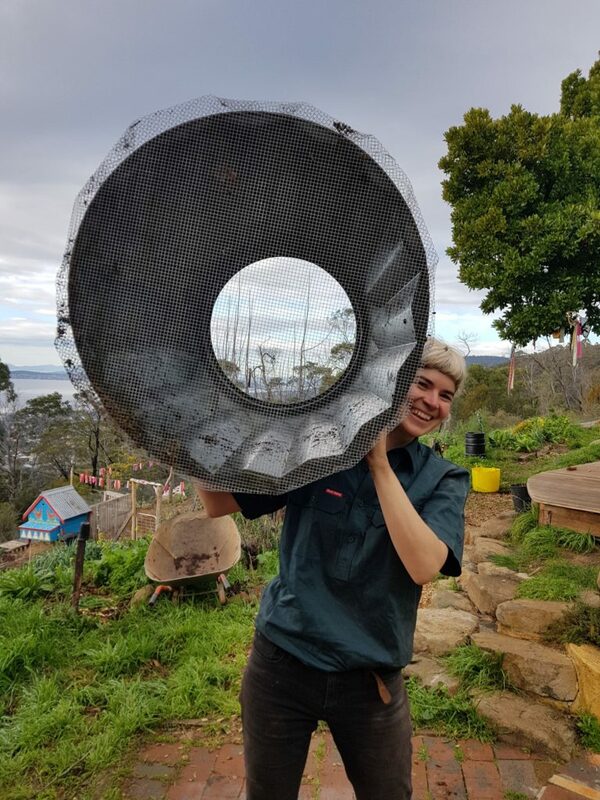 We’ve placed ours near our chooks and goats who we feed every morning, this makes it easy for us to place food scraps in there on the same trip – effeciency plus! 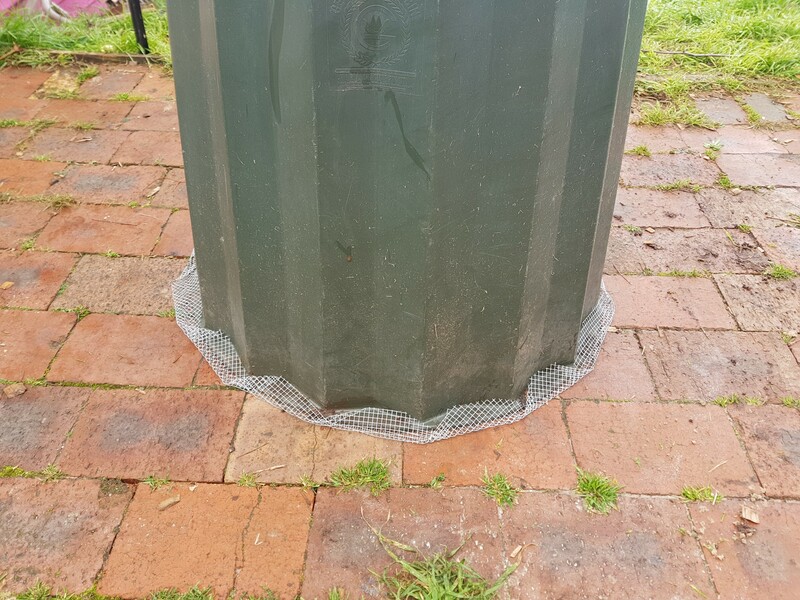 You can also dig the compost bin into the soil 200mm to create another barrier to the rodents from getting in – but generally the vermin mesh is enough to do the job. As you can see below, we’ve got a second bin with a lid on it to store dry carbon materials. This makes it easy for us to add a small bucket of carbon with each bucket of food scraps that goes in. We also make sure we chop up our food scrasp to the size of a 20 cent coin to help them break down more quickly. For something that take less than an hour to do, you’ll be kicking yourself you didn’t do this years ago. Happy rodent-free composting! What sort of stuff do you compost? 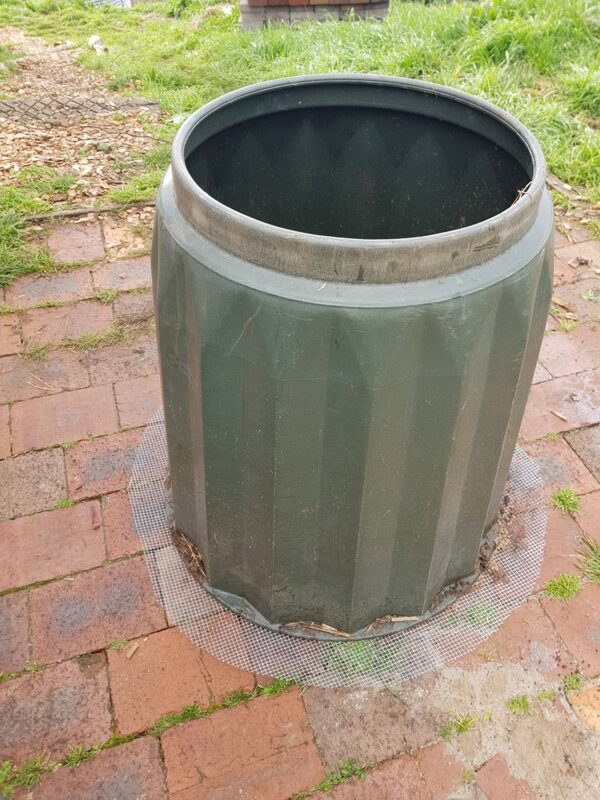 I’ve set up a compost bin several times, but I never have much to put in it. We give everything from the kitchen to the chooks. Even weeds etc go into the chook pen. Whatever they don’t eat (e.g. corn cobs, woody stems, etc) accumulates, but I rake it into a pile and water it, and it breaks down over time. 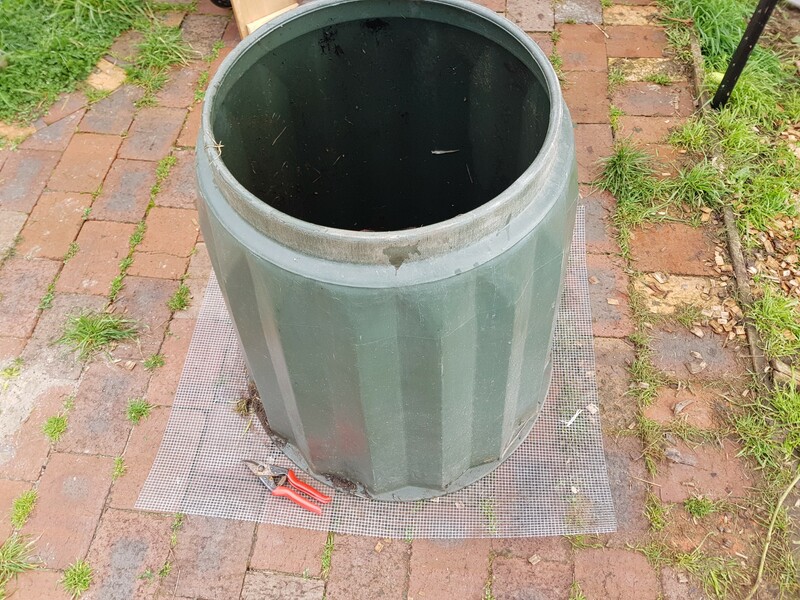 I’ve got several compost bins sitting around doing nothing, and am wondering if I’m missing an opportunity? Sounds like you may not need to use a compost bin if your chooks are eating them all :-). Yes. You are missing the opportunity to create an awesome soil conditioner, give it go. What do you do when the rodents have eaten holes in your compost bin? Depends where you are Viv. If you don’t want to make your own just start calling around your local independent nurseries until you find one :-). 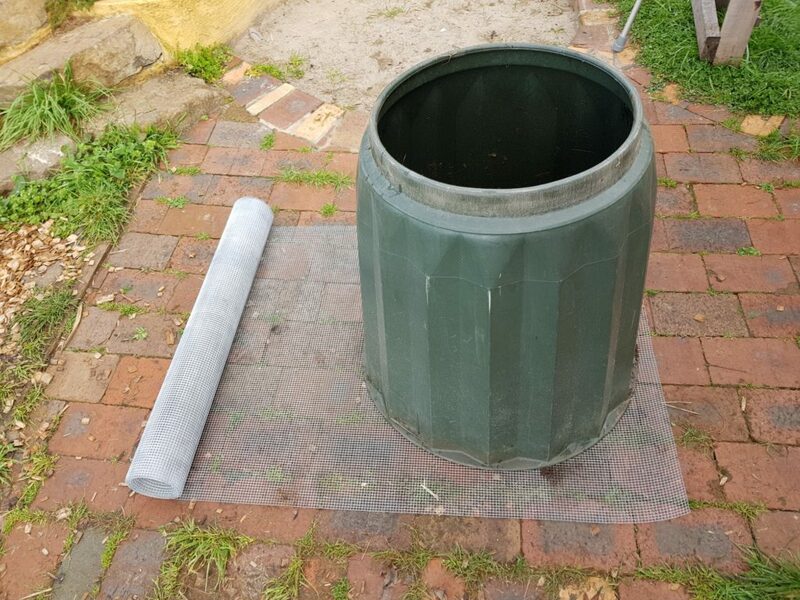 Very appreciated technics has applied in here for making the bin and it can easily rodent your unwanted things or waste into the compost bin. I think that’s so quick and easy so we can only use as the tool which can use like some good wire cutters.